Gametools.dk - ME2 is a learning game for both new and experienced entrepreneurs. 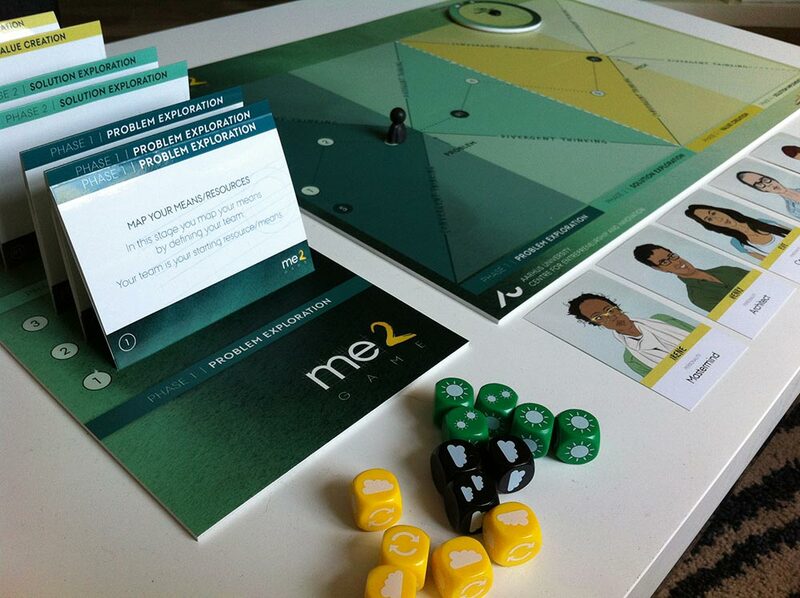 ME2 is a learning game for both new and experienced entrepreneurs. The aim of the game is to increase the chance of bringing an idea to life. The game takes you through the process towards ‘the big idea’. Focus is particularly on the challenges that arise for a team in a start-up phase. Participants are part of a fictitious team that wants to bring something new and extraordinary to the world. The players have to prepare a pitch to investors and must take the necessary steps to create the basis for this. This involves e.g. defining the team, finding any problems and solutions.